The city of Mumbai is known to host a number of art events, usually during the weekends. The coming weekend is no different and we shall witness yet another art exhibition in the country on the 24th of March. Free for everybody who wishes to have a look, this exhibition will showcase the work of artists like D*Face, Eimor Customs, IRONic, Mallika Prakash, Moto Machao and Womeneoteric Customs. 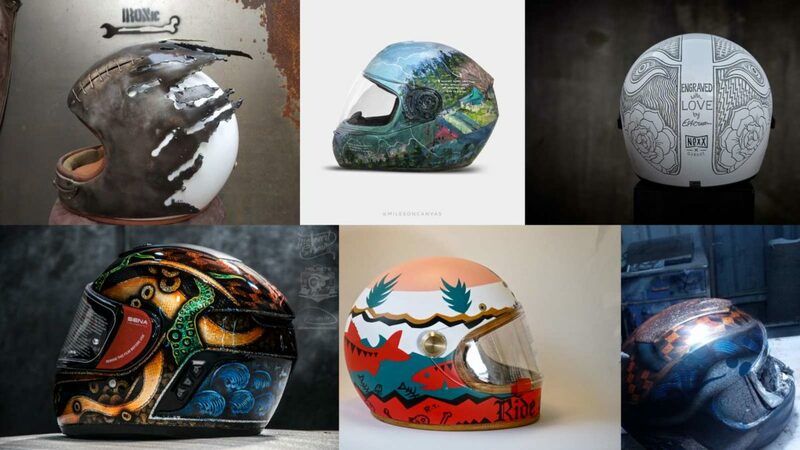 However, unlike other art exhibitions which showcase the skill of an artist on a piece of canvas or paper, these artists have chosen a helmet to showcase their talent. While doing so, they also expect to promote road safety in the country, trying to make our roads a safer place for the motorists. 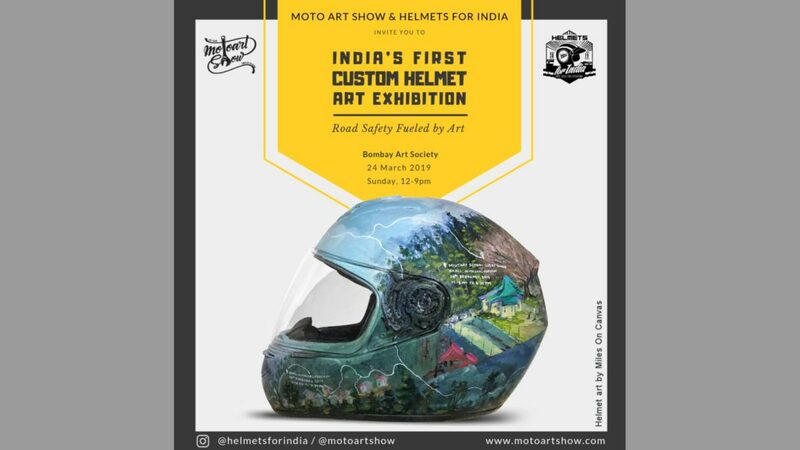 Ladies and gentlemen, be ready to welcome India’s First Custom Helmet Art Exhibition. With safety always taking a backfoot in our country, here is a statistic that will leave you in shock. Our country witnesses as much as 327 motorcycle deaths each day. Most of these mishaps happen because of head injuries, which could definitely be prevented by the use of a helmet. Based on WHO’s Global Status Report on Road Safety 2018, Wearing a motorcycle helmet securely can reduce the risk of death by 40% and the risk of heavy head injury by 70%. So go ahead and support these guys by attending this exhibition. It’s a one-day exhibition only being held on March 24, 2019, from 12 pm – 9 pm at the Bombay Art Society. The exhibition is open to the public and completely free to attend.